Plz i wanna knw a little about the phone. Is it a dual_sim and touch screen phone? Hi guys, i currently have a Nexus 4 and i want to get a less smart phone because of the tought that i am addicted to smartphones. Also,i need a WhatsApp ,I'm not sure whether WhatsApp is usable and will be usable in Asha 303. Could you help me please? i've been using this phone ssince 2012 and I've got it wet, dropped it several times, stepped on it and hell yea it's still perfect! Best phone I've had in my entire life. This is a very interesting device. I used it for almost 3 years and i have a very positive opinion for Nokia asha 303. I missed Nokia QWERTY devices. Please any body tell me how to disconnect data connection. It is always at on. its very beautiful and charming mobile.it is veryyyy intresting. 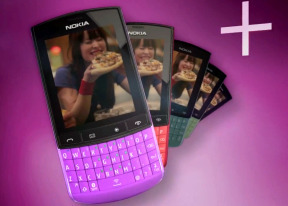 Total of 2764 user reviews and opinions for Nokia Asha 303.